Anyone who's heard the breathtaking song "Not Guilty Anymore" from Atlanta-based worship pastor Aaron Keyes will know that this particular songsmith is far more than the usual worship leader putting Bible verse paraphrases to standard rock chord progressions. Britain's worship giant Kingsway Music have recognised Aaron's consummate talent and powerful anointing and the 'Not Guilty Anymore' album got a Kingsway release in July, 2007. More recently Aaron cropped up on Stuart Townend's Irish concert DVD and CD 'There Is A Hope' Cross Rhythms caught up with the singer/songwriter/worship pastor. Aaron grew up a pastor's kid in Greenville, South Carolina. He recalled, "It was a small town with more churches per capita than any other town in the country (at least that's what I've heard). Greenville has lots of religion, lots of rules, lots of dotting spiritual i's and crossing spiritual t's. If you can believe it, I was actually born at Bob Jones Hospital (yes, that Bob Jones) and spent the first 10 years of my life in a very legalistic environment. My parents loved God with all their hearts - and still do! - but were living unaware of God's ineffable goodness and grace. The predominant voices in the culture of our church, and our community at large, emitted a relentless drone of condemnation: You're guilty, You're not good enough, You're worthless and hopelessly depraved, but ('lucky for you, scumbag!') God so loved the world. . . If my hair brushed up against my collar, I was in deep danger of eternal torment! If my sister donned jeans (as opposed to the approved 'coolots') she was equally perilously poised! You get the idea; very rigid environment. Not so much within our home, but within the community of which our home was a part, so even though my parents kind of rolled their eyes at a lot of it, we had to play along. I learned pretty early to just play along, play the part, sort of. That got me through 13 years of Christian school - I actually won a handful of 'good behavior' awards and became quite the little poster boy. I had it down. There was just one problem. I never really loved God. Scary! I mean I prayed my 'Jesus-come-into-my-heart-and-save-me-because-I-sure-don't-want-to-go-to-hell-one-day' prayer when I was five years old, but I'm not sure that I had yielded every part of my life to his ruling and reigning that night. It was a cool night, but then it was kind of back to business as usual." That didn't really change until university. Aaron continued, "All of a sudden - and I don't really know how to describe it without the usual cliches and platitudes - I fell in love with Jesus. I remember being caught up with my heart so full in the presence of God one evening, I could've burst. I realised that all of my games and acting weren't anything but foretastes of the real thing: the Holy Spirit filling and coming upon my life. My family is great; I have an older sister by three years, and a younger brother by the same. I always loved my parents and still have a great relationship with (and respect for) them; I honestly can't think of ways they could have done much better as parents. My father was a pastor's kid as well, and I believe wholeheartedly that much of the blessing and favor I walk in is directly resultant from my Godly parents and grandparents. I'll honor them until the day I die." In the late 1990s while attending Furman University Aaron began his first tentative steps towards worship ministry. He remembered, "During university I wound up working at a camp in Northern California, way up in the mountains, by Oregon. This is the place where my life was forever changed, at the JH Ranch. I went out there to work as a men's staffer, guiding people down white-water rivers, into wilderness adventures, rock-climbing, so on. The worship leader at the camp left about four weeks into camp, and they needed somebody to lead. Somehow I got nominated. I'd never really led worship before - or even sung, for that matter - but it happened and I felt the Lord tell me to walk this road for a while. So I began to study everything I could get my hands on, reading books, meeting pastors, learning from other worship leaders, listening to sermons. I'd played piano all my life, but never learned a thing about what it meant to lead worship. I had never really experienced the presence of God in praise and worship until that summer. But that summer, it happened. There were about 100 of us, college students mostly, volunteering at this camp for 12 weeks of the summer; we'd spend an hour together every morning before breakfast in simple, raw, praise and worship. It changed me. God met me. "About the same time, my family planted a church, there in South Carolina. My father was the pastor, and his heart was for people who'd given up on church, or never given it a chance at all. So we planted Crossroads Community Church; we played rock and roll music and used video clips to illustrate sermons and thought we were cut-tttttiiiiiiing edge! In retrospect I guess we were, but now it's so commonplace it's not even really interesting anymore! Great church though, and I began leading worship there, as I was still studying in college. Upon graduation from university, I married my sweet wife Megan, and went on staff to be the 'official' worship pastor at Crossroads (they had to start paying me that way!). I also began to lead for mission trips and camps as the opportunities came. I was there at Crossroads with my dad for seven years in total, and then in 2003 my family and I moved down to Atlanta, Georgia, for me to become the worship pastor at Grace Fellowship Church, and I'm still here." Aaron spoke with enthusiasm about his church. "If you came to Grace you'd notice a few things - a commitment to making disciples of Jesus, impacting the nations (especially the Islamic world), teaching the Bible, reaching the next generation and worshipping with passion and authenticity. You'll notice lots of other things, but I feel that these most concisely give you a fisheye view. I am here as the full time worship pastor. I'm not a worship leader. I take it as my job to pastor worship and worshippers here in this community; this means that naturally, I'm here most Sundays. (What kind of shepherd wouldn't spend time with his sheep?) Also as the worship pastor I make it my purpose to train up and launch out other worship pastors, which we've had the opportunity to do for the past few years. Of course, I'm out several weeks each year, doing ministry elsewhere Stateside or internationally, but I do my best to be here for the pronounced majority of the time. We've also planted a church downtown in Atlanta (about 45 minutes' drive away) called Midtown Community Church that meets on Sunday nights, and I make it down to lead there a few times each year as well." Before recording the 'Not Guilty Anymore' CD, Aaron cut an independent album in 2003, 'Because'. Said the singer/songwriter, "It was tremendously received and the Lord just really worked (and continues to, for that matter) through that album. Before that I'd been involved on a half-dozen other worship albums, either for that camp in California, or just corroborating with some other friends on their own projects. But "Because" was my first full album." It's been the 'Not Guilty Anymore' project though which has put Aaron Keyes into the international marketplace. He spoke about the background to the album and particularly its epic title track. "'Not Guilty Anymore' was inspired by the previous 28 years of my life. Knowing my legalistic upbringing provides you with the backdrop; the result of those formative years in that setting resulted in a spirit of guilt, shame, condemnation and self-deprecation creeping into my heart, even as an adult. I can't pinpoint why, I'm not sure why I felt guilty, but I'd have this constant voice in my head, echoing, 'you're not a good enough Christian, you're not a good enough father, you're not a loving enough husband, you're not good enough. . .' All of this garbage that's just not from the Lord, obviously. "Then I was leading worship at a camp where a pastor was teaching on John eight and the woman caught in adultery. He painted the scene so beautifully, and I saw myself as that woman, guilty and worthy of condemnation. The entire community had come out to exact their judgment, and then Jesus came onto the scene, and as he scribbled in the sand and said, "Where are your condemners? Neither do I condemn you," all of these stones that were meant for her death started hitting the sand. That dull thud of stone hitting sand became the sound of grace to me that night. "I had to lead this massive group in worship after hearing this sermon, and my heart was harrowed. The room became really heavy and we worshiped for a while, and I solemnly dismissed everybody, but nobody left. It was so intense--a sacred moment as God's forgiveness was breaking through to our hearts. So I began singing spontaneously over the room, 'Can you hear the sound of grace?/Condemnation falling to the floor/You're not guilty anymore/You're not filthy anymore." It was a new song - those thoughts had never occurred to me - and I believe it was a prophetic song for a few thousand young adults that night, myself included. I was singing over this congregation, and singing over my own life as well. Time passed and I never did anything with the "song" that the Lord gave me that night. Then came the World Cup. "It was 2006 at this point, and I'd saved every dollar I could get my hand on so I could purchase 62 inches of Mistubishi Hi-Definition World Cup Wonderment. Every game would be broadcast in hi-def, and I took all of my savings and plunged them into that TV; it was glorious. We had World Cup Parties. We had World Cup Breakfasts. We had World Cup Feasts. We had World Cup Worship. And then came that one weekend. I had to go out of town with my band, and upon returning home, my wife warned me I would NOT be happy. I turned the corner to get caught up on the weekend's games I'd recorded, and there it was, in smashed pieces spread all across the floor: my new TV. Completely wrecked. Turns out that my three year old, Judah, had roused his temper during one of his video games, and hurled the controller at the TV, completely annihilating it in the process. Daddy was not happy. At all. I sent him to his room for "Time-Out." That lasted three months. "Not really, but I gave him some time to sweat it out, and finally went into his room to sit on his bed with him and talk it through. He felt awful enough, there wasn't much point in pressing the point anymore. So I dealt with him, and then embraced him, and asked him to look at me through his tear-filled eyes; he didn't want to. I wanted to look him eye-to-eye and speak forgiveness into him, but he couldn't look into my eyes to receive my forgiveness! So I placed my hands under his chin and literally lifted up his head so that we were face to face, sitting there on his little twin bed, and I told him, "Judah, I forgive you. It's all done. You don't need to worry about this ever again." "The next day I'm reading in Psalm 3, and I come across verse seven: 'You oh Lord are a shield about me; My glory, and the lifter of my head.' The lifter of my head? I'd just served as the same for my son, and now the Lord's telling me that he - the Transcendent, Eternal Creator - he is the Lifter of my head? Psalms says that the Lord spread out the stars with his fingers, and those same fingers he would use to lift my head? It was as if I was back in that John 8 story, and the Lord himself was lifting my head out of shame, guilt and condemnation, and looking me in the eye, speaking mercy and forgiveness over my life. I heard in my heart, 'He who knew no sin became sin for us that we might become the righteousness of God in Christ. . .' And I finally started to see that in Jesus, I'm not a broken down sinner; I'm the very righteousness of God in Christ. I finally began to see that, like Isaiah 1 said, though my sins were like scarlet, they could be white as snow. Of course I was a broken down sinner, of course my sins were like scarlet, of course I was guilty. But not anymore. And never again. Jesus paid for that guilt, and he buried it. What I heard the Lord telling me was exactly what I wrote in that song. I didn't realise it would resonate with so many people around the world, but I've gotten letters and emails from just about everywhere (interestingly, in lots of prisons too) about how God's used that song. It's the story of my life, and I guess by the looks of it, I'm not too unique in this. May the Lord set his children free from guilt and shame to live in fullness of love, joy, and abundance." Another great song on the album and another selected for Cross Rhythms radio play is "You Never Cease To Amaze Me". Aaron explained that song's genesis: "I was spending some time meditating on the Lord's ridiculous goodness and favour on my life, and some of the song sort of wrote itself. The Lord has worked time and time again in ways that are not only better than I had hoped, they're better than I even imagined. His workings and ways are mysterious to me - his ways are higher and his thoughts are greater - but equally wonderful! This is my first time to hear about Aaron Keyes and this song. Bertie Brits from Africa plays this particular music and my friend told me about it...so I google it and found it!!! Since this week I have shared it to all my friends and I will introduce to our church worship team. This is the message all of us should hear. Thanks, Aaron..you are God's favorite, you are highly favored, and God is setting you up for greatness!!!! Love you in Jesus!!! Real ,the way he said about a 100 words of the bible while singing is was remarkable. He is gifted. I was amazed by hearing the song 'You Restored the Wasted Years....what a fire in the song. By God's grace, we have enjoyed your music at our church last week. God bless you and continue to use your talent. One of my students, Gabe Ecklund, invited me to Grace. I eventually made it and was gobsmacked. Sermon was great and the music was awesome! I didn't know the worship leader was well-known for his music, but it touched me and spoke to my heart. It takes almost an hour to get there, but it's worth the drive. A lot of churches have "praise and worship" groups, but somehow leave out the worship part. Aaron's music is full of praise, but it allows time to really worship, mostly quietly. I feel a bit empty when I miss a week and can't experience Aaron's gift. May God continue to bless you. Through you I, as I'm sure thousands others, am blessed. And I am forgiven! 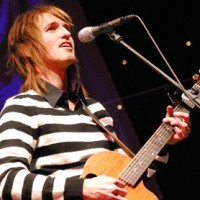 I just recently got back form Super Wow with my church, and Aaron Keyes was the worship leader there. He is soo AMAZING! he truly knows the bible. I loved how he would play and sing a song, and then he would incorporate it to a little sermon. He is a truly gifted singer, and song writer. May God continue to bless him and his family!!! The best! Aaron Keyes has it all - Talent, creativity, sincerity, catchy tunes...Most amazing is his ability through music to lead you directly to one of God's tracks, a welcome and inviting rhythmical place, where you'll feel filled with God's energy, love, acceptance, belonging, hope and grace, ending in a joyful peace. I just returned today from a Discipe Now Youth Retreat. 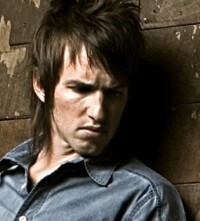 Aaron Keyes was worship leader, and he was the best I have heard. He is sincere, and I hope more people will be blessed by his music and his love for God's Word. I am so impressed with Aaron's authentic Godly attitude about leading worship and writing songs. I have listened to his latest CD many times, and each time a new message fills my heart. My favorite is his title song, " Not Guilty Anymore." How precious that song is to me!